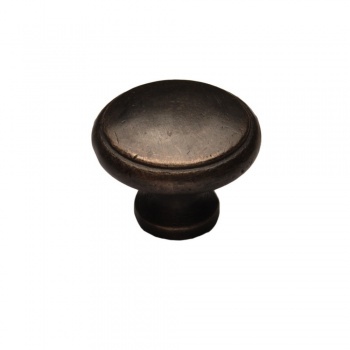 A beautifully dark bronze cupboard knob, manufactured by Cardea available in 22mm, 32mm and 40mm sizes. They are hot dipped in boiling oil and finished with a dark wax. It has an almost black, dark bronze finish, through use and time, the metal will lighten achieving the classic coppery lustre synonymous with solid bronze sculptures. These dark bronze knobs can be left dark brown in appearance or buffed to reveal a soft brown lustre.